This Website is provided by Less Mess to communicate information regarding Less Mess products, services and/or general company information. By visiting or using this Website, including without limitation access, use, and/or download of information, data, text, software or images, or any other Content from this Website, or to use any Website-related services, you agree on your own behalf, and on behalf of any entity on whose behalf you may act, to accept and abide by the Terms and Conditions for each use of and each visit to this website. If you do not agree with these Terms and Conditions or are dissatisfied with the Website in any way, you should discontinue use of this website. 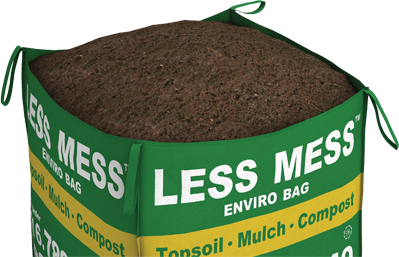 Less Mess has the right, in its sole discretion, to add to, remove, modify or otherwise change any part of the Terms and Conditions, in whole or in part, at any time without notice and changes will be effective immediately upon update on our website. Your continued use of this Site after any such changes are posted will constitute acceptance of those changes. These Terms and Conditions apply exclusively to your use of this Website and do not alter the terms or conditions of any other agreement you may have with Less Mess. 4. Use this Site in any manner that could damage, disable, overburden, impair, interfere with the security of, negatively affect the functioning of, or otherwise abuse, this Website or any services, system resources, accounts, servers, networks, affiliated or linked sites, connected to or accessible through this Website including without limitation uploading or transmitting anything potentially that may impose an unreasonable or disproportionately large load on this Site's infrastructure; or using any other automatic program or device, to copy, summarize, or otherwise extract information from this Website in whole or in part; Less Mess may involve, and co-operate with, law enforcement authorities in prosecuting users who are involved in any unlawful use of the Website and reserves the right at all times to disclose any information regarding your usage of the Website as necessary to satisfy any law, regulation or governmental request. This Website, including without limitation all Content, is protected by Canadian and worldwide copyright laws. Any unauthorized copying, redistribution, reproduction or modification of the Content by any person may be a violation of trade-mark and/or copyright laws and could subject such person to legal action. You agree to comply with all copyright laws worldwide in your use of this Website and to prevent any unauthorized copying of the Content. Other trademarks, trade names and/or associated products and services mentioned on this Website may be the trademarks of their respective owners. The display of these trademarks, trade names and/or associated products and services on this Website does not convey or create any licence or other rights in these trademarks or trade names. Any unauthorized use of them is strictly prohibited. Certain links on this Website may take you to other websites. These links are provided as a convenience ONLY and are not necessarily under the control of Less Mess. Therefore Less Mess is not responsible for the content of any such linked websites and makes no representation, warranty or endorsement of any products or services described on the linked website. Visiting any linked website is done so at your own risk. Less Mess welcomes links to this Website provided a request to link is offered and granted in writing which describes the nature and location of the link. Less Mess reserves the right to disable links from third party websites to this Website. Less Mess makes reasonable efforts to ensure that the content provided on this Website is accurate and current. No warranty of any kind regarding the Website is made with regard to the accuracy, reliability, currency or completeness at any given time. All content is provided on an “as is” basis and used at your sole risk and discretion. Less Mess does not in any way warrant or imply that this Website will operate indefinitely, operate without interruptions or be free of error. You expressly agree that under no circumstances will Less Mess or any of its affiliates be responsible or liable for any loss or damages whatsoever directly or indirectly associated with your use, access, loss of use or loss of access to any content on this Website or any linked website. Furthermore, you agree to defend and hold harmless Less Mess , and each of their officers, directors, employees and agents, including all third parties mentioned at the Website, from and against any and all claims, allegedly resulting from your use of the Website. Less Mess makes no representation or warranty that Content at this Website is appropriate or available for use at any locations outside Canada. Accessing the Content from locations where the Content is illegal is prohibited. Those who choose to access this Site from other locations do so on their own initiative and are responsible for compliance with local laws. This Site is controlled, operated and administered within the Province of Ontario, Canada. By accessing this Site, you agree that all matters relating to the access to, or use of, this Website shall be governed by the laws of the Province of Ontario and the federal laws of Canada. These Terms and Conditions and all related documents will be drafted in the English language.